Over 70 years since the first precast concrete plank was cast, Spancrete is a third-generation, family-owned company with a global footprint that continues to grow. We manufacture and install premier precast concrete building solutions for a large variety of commercial, municipal and residential customers. We also provide customers with full precast production equipment, service and ongoing maintenance and support. The unifying thread that ties all of our services together is our people. We are committed to making EVERY customer feel like they are our ONLY customer. When the last detail is put into place, we stand shoulder to shoulder and say with pride, “We Built That". Spancrete loves building lasting relationships and turning dreams into rock-solid reality. This passion comes to life because of each and every Spancrete team member. We are always interested in new talented, hardworking individuals. Spancrete has very low industry turnover and many long term employees, We offer rewarding career opportunities in Wisconsin, Illinois, Georgia and Florida. At Spancrete, employees are eligible for health and welfare insurance benefits on the first of the month after 30 days of employment. Spancrete pays at least 70% of premiums for individual and family health insurance plans for eligible employees. Spancrete offers part-time or flex-time employees full time health care benefits to employees that work 30 hours per week. Spancrete offers a partial company match on a 401(k) plan on the first of the month following 90 days of employment. Spancrete is committed to supporting every customer like they are our only customer by being the most responsive partner and innovative provider of global building solutions. Spancrete’s commitment applies to all business operations and locations. Spancrete is part of the North American Precast Concrete Sustainability Plant Program (NAPCSPP). All of Spancrete’s plants participate in this broad effort to enhance the environmental and economic performance of the entire precast industry. This initiative combines the efforts of the Canadian Precast/Prestressed Concrete Institute (CPCI), the National Precast Concrete Association (NPCA) and the Precast/Prestressed Concrete Institute (PCI). Member plants receive a web-based software program that allows them to monitor their performance. Spancrete has an employee whose responsibilities include monitoring our mission, values, or ethics statement and the execution of its commitment. Spancrete provides at least a living wage for all of their employees. Spancrete has very low industry turnover and many long term employees. Spancrete has a published process for employees to ask questions, give feedback or complain without negative consequences. Spancrete’s Ethics Hotline addresses any and all employee concerns (ethics, safety, compliance) and is managed by a third party. Employees are surveyed on a variety of topics including engagement and satisfaction. Spancrete has a formal process or program for employees to offer suggestions or innovations. A quality initiative secures information on safety and health concerns for the organization. Spancrete has surveyed employees regarding their satisfaction and engagement within the last 12 months. Spancrete sends out a third-party facilitated anonymous employee survey. Those findings are shared with the employees and recommendations and changes are developed by the Employee Advisory Board. Spancrete matches employees’ charitable contributions, dollar for dollar. Each location has a charity committee that develops the community groups and charities that the employees in the respective areas want to support. Employees or an Employee Committee determine all or part of the company's time, talent, and financial contributions. On average, hourly employees know their regular work schedule 4+ weeks in advance (for administrative positions) or 1 week or less in advance (for plant positions). Hourly employees usually know they will need to work overtime 2+ weeks in advance (for plant workers, changes seasonally). Spancrete provides time for employees to volunteer. Some locations have company sponsored volunteer events. A variety of activities allow the company to raise funds to support the local community. Some Spancrete buildings are LEED (Leadership in Energy and Environmental Design) certified. Spancrete products and services directly contribute to the conservation of the environment. Spancrete has a person assigned to monitor its mission, values, and ethics statement and the execution of its commitment to the environment. Energy conservation is part of Spancrete environmental policy statement. Recycling programs are in place at Spancrete’s office and production facilities. Recycling results are disclosed to the public. Spancrete regularly works with customers to monitor and positively affect the environment. Spancrete has participated in an internal environmental review and an external audit in the last 12 months. Spancrete’s budget and financial statements include a line item for employee training and development. 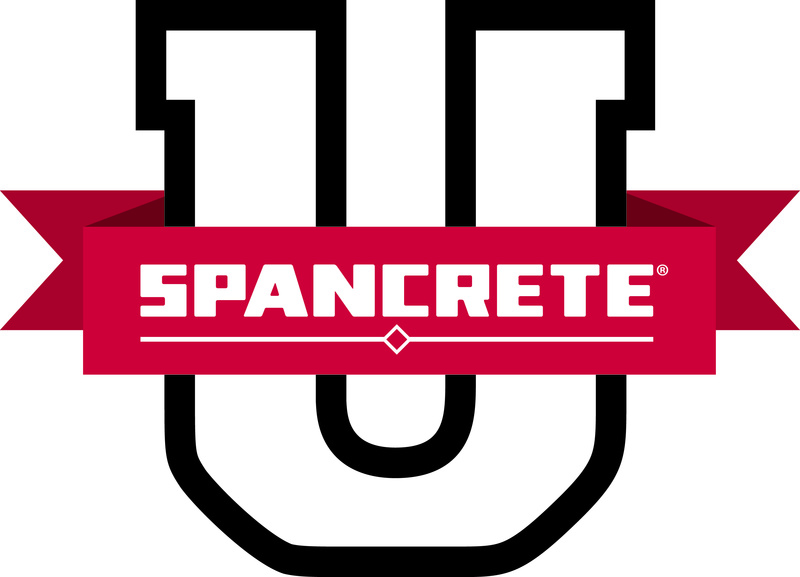 The training program is called Spancrete University. Managers and employees work together to identify the individual’s training and development program. Spancrete seeks to upgrade talent and improve retention. Spancrete’s training and development program is aligned with company goals and applies to all employees. Each year, Spancrete plans for 16-20 training hours for each employee.